*Authorized 360° Painting Franchisee* 360° Painting is the #1 Franchise in the Painting category, and ranked #287 in Entrepreneur magazine’s 39th Annual Franchise 500. We know that the true foundation of client relationships is trust. At 360 PAINTING we strive to earn your trust and will work closely with you to transform your vision into a vibrant reality. We have built our reputation by listening to our customers and helping them to realize their desired outcomes. Your house is your most valuable asset, and you have worked hard to turn it into a home. Now that you are ready to make some changes, you need a company you can trust. When deciding on a company to hire, you should be very selective. You would not choose a physician or lawyer simply based on a yellow page ad. Why settle for less in a painting company? For interior and exterior painting, our quality work and excellent service are what set us apart. Our job is never finished until you are completely satisfied with the results. 360 PAINTING is part of an extensive network of franchisees across the United States and Canada. We are independently owned and operated and have been certified and trained in the 360 PAINTING 20 STEP PROCESS. Finally, a painter you can trust! For over 50 years, Aikey’s Home Improvements has been helping Virginia homeowners get the most out of their homes: the most value, the most satisfaction and the most enjoyment. We are a full service Home Improvement Contractor, family owned and operated since 1959. Making dreams a reality on a daily basis. "Our Specialty is Your Home". "Craftsmanship & Professionalism Defined" our motto and the words we live by . Every project deserves attention to detail; every customer deserves our focus. We have a passion for designing and building beautiful spaces and like to share that with our clients. TRANSFORMING HOMES & IMPROVING LIVES We understand your house is not just an investment but it is your home, it is where your kids play and family come to visit…it is where memories are made. We work closely with you to understand your lifestyle, needs, and desires to transform your projects into spaces that help create new lasting memories. DESIGN & BUILD Our experience and passion allow us to truly create the project you are dreaming of with innovation and creativity. We strive to provide an experience that is creative, informative, and rewarding for you. During the design process we take our time and work with you, going over every detail and every option until we have it perfect. We understand your home is not just your largest investment but it has to function and fit your lifestyle. Once we start building, we will communicate with you daily on progress and there will always be someone on site that can answer any questions. Founded by Lee Payne, Timber Creek Construction LLC is a Powhatan based design/build firm. A roof protects the building and its contents from the effects of weather and the invasion of animals. Protecting your investment should be a #1 priority. With every project we manage you can trust our work because we have over 50 Years of Experience. Drawing on a combined 50 plus years, the CB Chandler Construction team can handle any and all of your construction needs. In addition to our experience we offer a Hands on Design approach. With an eye for art and architecture which we use to aid each client through the entire design process; utilizing existing conditions, budget, and client ideas to bring the best design and final result for each customer. We are Customer Focused. 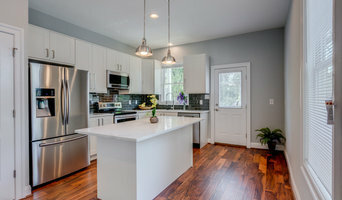 Every client needs something a little different, whether that be a remodeled kitchen or bath, an addition to their existing home, exterior improvements, home infrastructure, finishing an unfinished basement or more; CB Chandler Construction will guide you through the steps to best meet your needs and we are not satisfied until our customers are. Family owned business, with the objective of customer satisfaction and attention to detail. For all your general contracting, remodeling, and renovating needs - R.D.W Home Improvement, Inc. is the one to call. Providing turn-key for new homes and additions. Birstler Home Improvements Of Virginia, Inc. 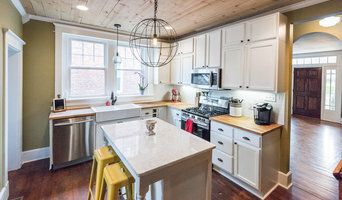 Working with homeowners, designing and executing improvements whether it be remodeling kitchens or baths, adding much needed space, or installing beautiful windows, our passion for improving a homeowner's investment is as great as our clients'. 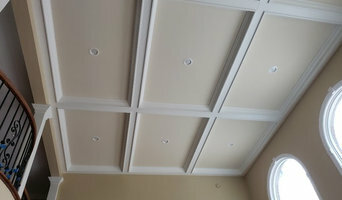 Birstler Home Improvements of Virginia, Inc. is fully licensed and insured. We create beautiful spaces which increase property values and provide years of enjoyment to all our clients. We are an EPA "Lead Safe Certified Firm" and take all necessary precautions when remodeling homes that were built prior to 1978. We participate with continuing education addressing changes in the home improvement's industry. At Birstler Home Improvements of Virginia, Inc. customer care is our top priority. Bob Windsor Construction, LLC is a full service property repair and renovation contractor located in the heart of Central Virginia. 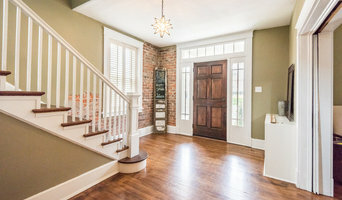 This construction firm is rated as one of the most reliable construction and restoration companies in the Richmond metropolitan area. Bob Windsor Construction, LLC is a member of the Better Business Bureau and the staff of full time specialists is dedicated to expediting your residential projects at competitive and affordable rates.